A.K.A. The Beverage Formerly Known as Spiritopia Apple Liqueur. Why the change? It has to do with classification and the arcane rules around wine and spirits. Spiritopia Apple is made with nothing but Pacific NorthWest apples, so it is technically a fortified cider/apple wine. By changing the alcohol percentage a small amount to 21%, we are able to re-classify as a cider. This in turn allows us to offer the product in a lot more places in Oregon such as grocery stores. While the label is a bit different to conform to the rules, the amazing taste is the same. SuperCider is a unique all-apple libation bursting with the flavor of 30 apples in every bottle (375 ml). Seven varieties of Pacific Northwest apples are juiced and fermented slowly with yeast that enhance the aroma. The hard cider is distilled in small batches to create a delicate apple brandy. Charred American oak barrels contribute nuances that complement the sweet-tart apples. Once the brandy is mature, Spiritopia Apple is made by carefully blending the brandy, the cider, and the juice. No other fruits, grains, colors, or flavors are used. 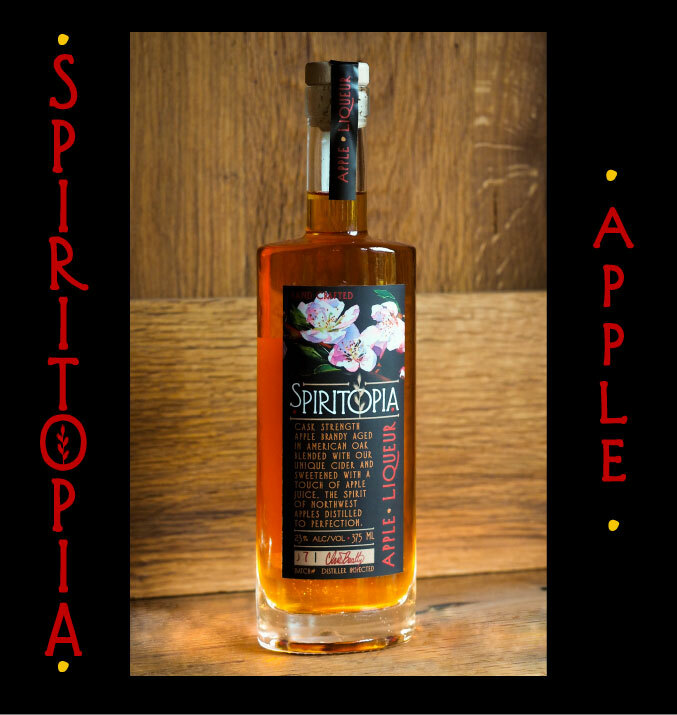 Spiritopia Apple has a balanced, intense apple flavor that is unmatched. Best of Show/Double Gold at Seattle International!